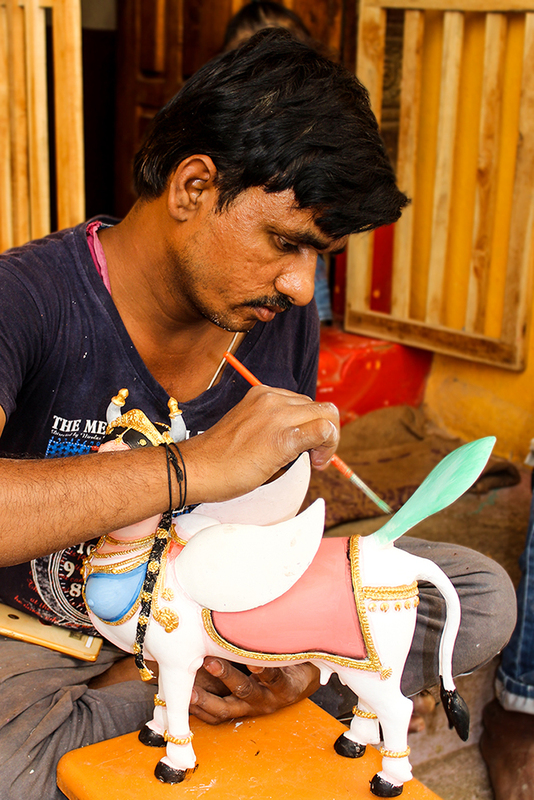 Kinnal a tiny village in Koppal district has drawn international attention for its toys made up of wood and painted with a variety of colours. 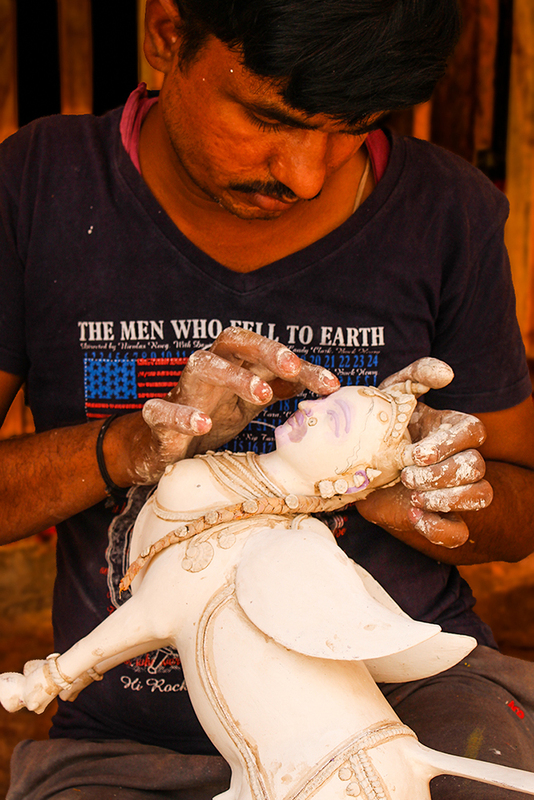 A community of artisans recognized as ‘Chitragars’ is involved in developing and cultivating the original form of art. Kinnal village is situated about 20 kilometres from Koppal. Kinnal was once a successful centre for crafts, with the artisans of the village mastering the fine art of wood carvings. The difficult carvings on the wooden chariot at Hampi, are said to be the work of the families of the Kinnal artisans of today. Kinnal as commonly known is a small town in the Koppal district of north Karnataka. It is like any other village except for the fact that it dates back to the 13th century era of the great Vijayanagar Empire where the first forms of Kinnal art was practiced. Through the test of time this art has continued to survive and is still being carried out by people whose families have been practicing through generations. 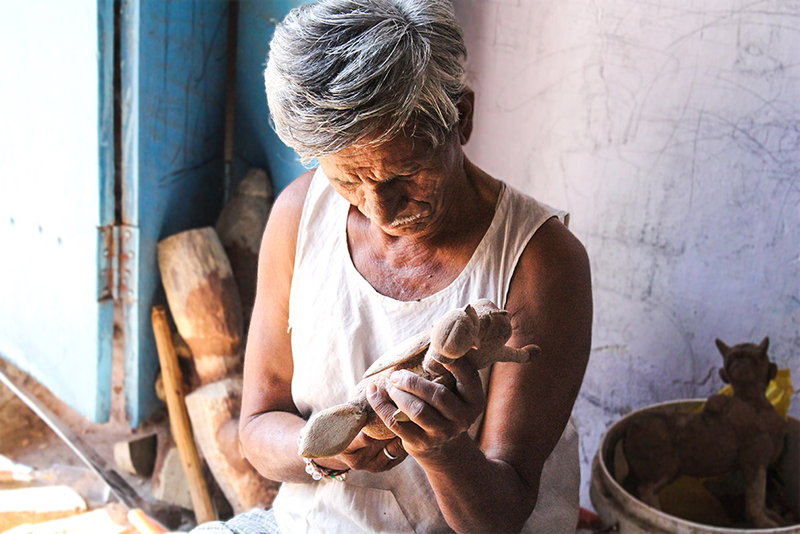 Annappa, a Kinnal artist belongs to one of the few families who continues to practice this rare art from struggling to keep the long heritage alive. The Kinnal craft is a delicate and time consuming process. 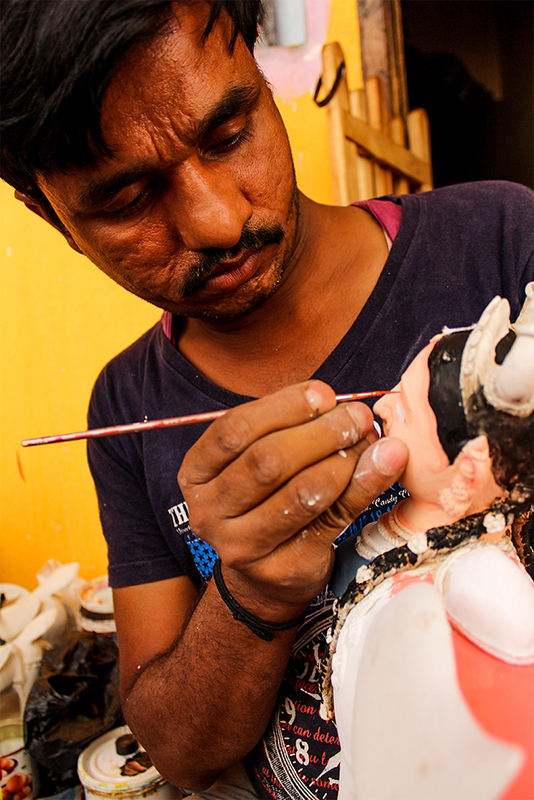 The objects have a light wooden base on which numerous layers of paste, made from tamarind and saw dust, are applied. Between every layer it has to be dried and then sanded down. At last it is finally smoothened and detailed with chalk paint before being painted. The idols were originally made for the royalty and very wealthy. 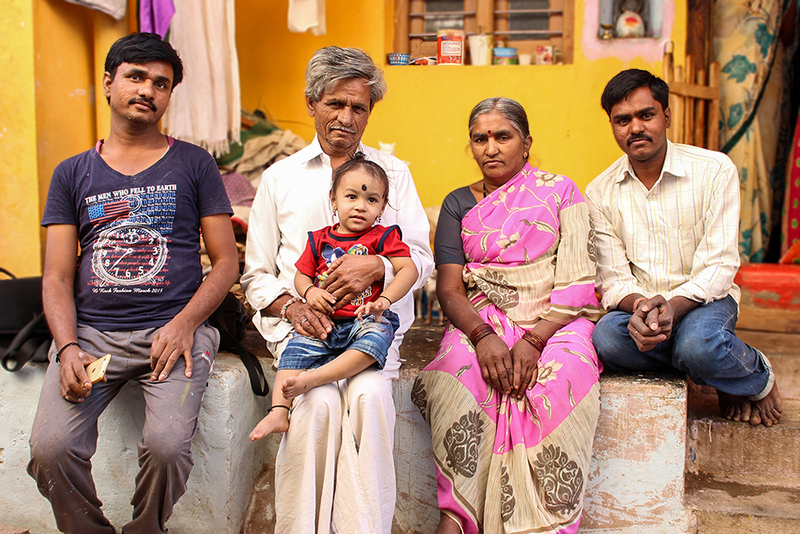 Mr. Annappa, a chitragar living in Kinnal village Koppal district. 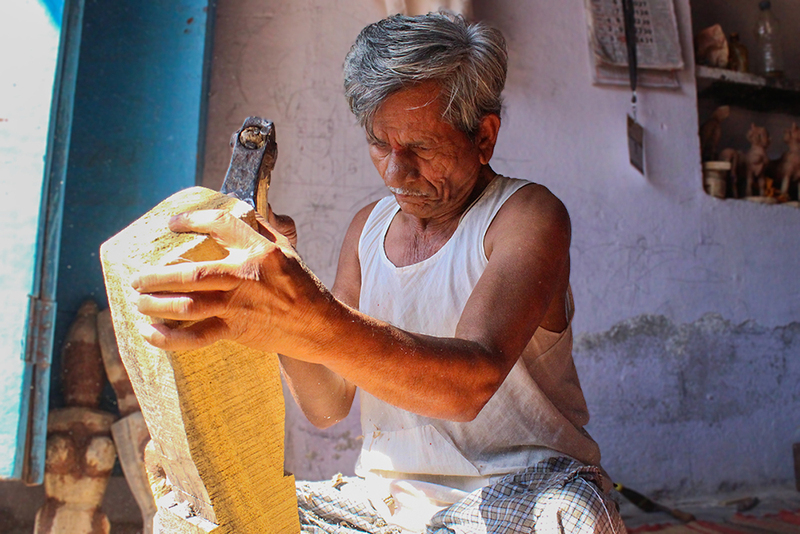 Mr. Annappa have been practicing this craft since past 20 year. His father Mr. Ekappa, a Chitragar awarded by Karnataka Chitrakala Parishat. Mr. Annappa learned this work from his father. This craft occurs from the period of Vijayanagar Empire.